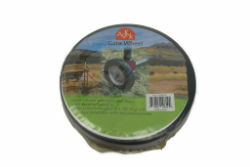 Tall gate wheel adjusts height for gates with high ground clearance. Allows gate to open and close easily while preventing the gate from sagging. Bolt on round tube gates of 1-5/8” to 2” diameter.